When was the first time you realized that a movie was written, that the actor does not make the words up? Actually, that would be as early as kindergarten. I was in a few Christmas plays where I had to learn lines and I made the association between writing and entertainment. As I got older, I began reading novelizations of motion pictures — „The Black Hole“ and „War Games“ come to mind. So I knew pretty quickly that there was such a thing as a screenplay that provided the plot, characterization and dialogue for a film. In my teens I began to hunt screenplays down to study the structure and storytelling and from that point on I made it my art form. When was the first time you knew you wanted to write for the movies? In High School, I won a few awards for short stories so I felt that writing was the career I wanted to pursue. And as I loved movies, I quickly combined the two passions into a single career. My first two screenplays were written just out of High School. They are awful. They will never be seen by human eyes. But you get better as you work and my third script won the Southeastern Screenwriting Competition award and gave me the confidence to continue. Do you have a dream project based your own idea? I do. It is a script called “Fox Hunt.” Spy movie. But unfortunately I cannot say too much about the plot. What attracted me to it is that it combines the elements of a Hitchcock thriller with a strong character study and looks at the spy genre in a more realistic light. Do you have a dream project based on an existing IP? There are several books I would love to adapt. There are some bestsellers from the ‘70s that I think could make amazing movies. Many people don’t realize how long the book “Bourne Identity” has been around — or that it was filmed as a TV movie with Richard Chamberlain in the past. There are novels that sold a lot of copies from forty years ago that are goldmines for cinema today. Which of your screenplays was filmed in the most satisfying way and is it also your favorite movie based on your own work? From the live action films only “Hercules.” My earlier work has been for cable TV and the budgets were so limited I never felt anything was really done properly. From the animated films I worked on, “The Heffalump Movie,”, “Tinkerbell and the Lost Treasure” and “The Little Mermaid III” are very satisfying representations of my work. Animation is tricky because the script is perceived as merely a blueprint and is often heavily discarded in boarding before it reaches animation. In these three occasions, I was fortunate to be working with very fine directors who basically shot the script. Which was a personal disappointment? There are disappointments even in the best of circumstances. When a writer finishes his first draft that is the only time the project is entirely under his control. He has cast it in his head and shot it in his head. From the moment the first draft goes in, notes come in from the studio, producers and director. These notes can be terrific and often are. But they begin to change the writer’s purest expression. Again, this could very well make the script better and the movie great. But the script from that point on becomes more of a collaboration. In terms of the finished films, all the live action projects I have worked on prior to “Hercules” that I received credit for were flawed. 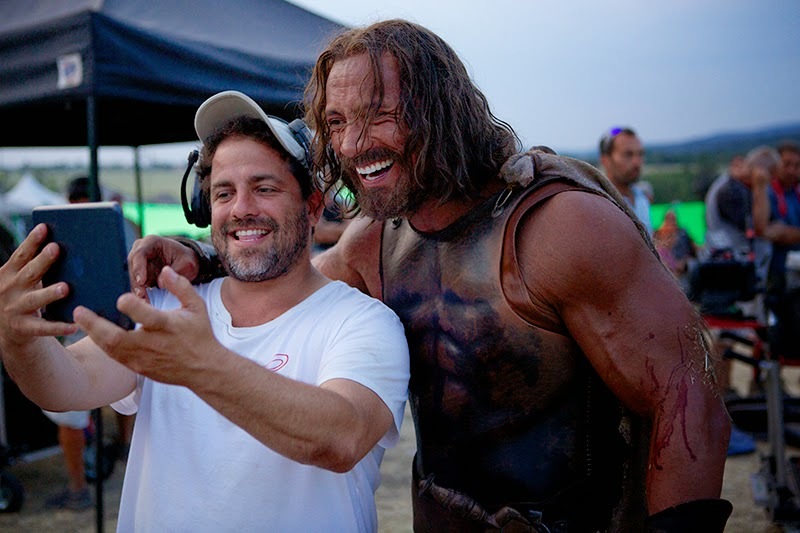 Almost always there was simply not enough money — the production budgets were from $800,000 to $1.5 Million, compared to “Hercules”’ $110 million. From the animated films, the one that upset me the most was “The Nutty Professor.” I had been hired by the Weinstein Company to write the official sequel to Jerry Lewis’ original “Nutty Professor” as an animated film with Lewis himself starring. The result was one of my favorite smaller screenplays that earned the praise of Lewis himself. A young, inexperienced director was hired — and proceeded to change everything. The plot is still 70% mine but only 20% of the dialogue was left. That was hugely frustrating at the time. Who’s your favorite director? Based on which movie? What’s your favorite filmed (produced) screenplay? 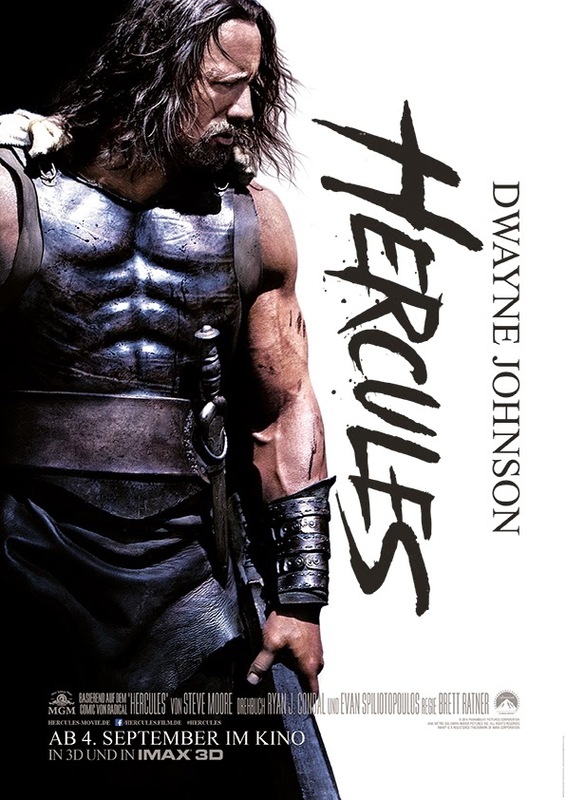 “Hercules.” And not because it’s the one in theaters now. But I have never felt so involved, embraced and listened to as I did on this film. I got to watch a genuinely visionary filmmaker like Brett assemble a movie from script development through preproduction, casting and post. It was a tremendous learning experience and very generous on Brett’s part to invite me along for the ride. What’s your favorite written (just in written form) screenplay? “Shadowlands” by William Nicholson. Beautiful dialogue, character work and storytelling. I would highly recommend it for aspiring screenwriters. Also, “Divine Rapture” by Glenda Ganis — a film with an infuriating fate. It started filming with the dream cast of Marlon Brando, Johnny Depp, Debra Winger and John Hurt only to collapse two weeks into it due to shady financing. A terrific comedy with real heart. What’s your favorite movie (up to 5) of all time? What was the most difficult scene you’ve ever written? 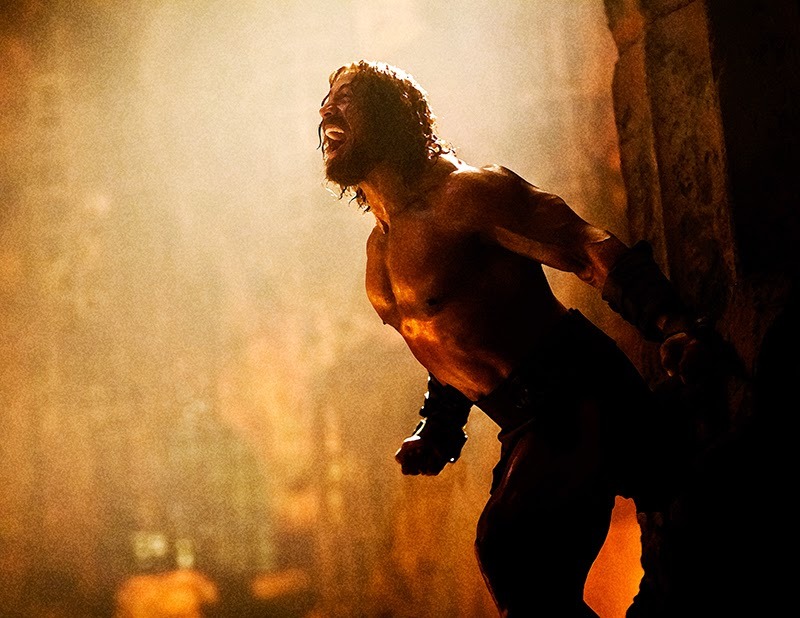 In terms of produced material, it was the dungeon scene in “Hercules” at the top of Act III. A lot of exposition but also the enormously heightened feelings made it both technically difficult and taxing emotionally. Unproduced (as of yet), it would be a death scene in a recent script that mirrored a loved one’s demise in real life. It was cathartic in a way once the scene was done but very painful along the way. What was the easiest scene you’ve ever written? Any action scene. They are fun, fast and exciting to write. I usually put on the soundtrack from “Last of the Mohicans” and go crazy. How much of your own version of the mythological Hercules – that I’m sure you carried with you since childhood – is in “Hercules”? Any plans for a return to animated projects? No. Writers, like actors and directors, get typecast. If you experienced success with a romantic comedy, Hollywood wants you to write more romantic comedies, not switch to slasher movies. My eight years at Disney brought me a great deal of success but threatened to put me in a box as an animation writer. I had the good fortune of getting hired on a very edgy action film right after Disney which made producers look at me in a new light. So returning to animation in the near future would be counterproductive. Any advice for writers who are interested to get into writing for Animation? Any first steps? Writing animation is not different from writing live action. The only thing that changes is that in animation you are limited by your imagination, not budget. Animation studios hire just like live action studios: write a good script and you get hired. Your advice to young/new screenwriters who are not living in L.A.? Move to L.A. Writing a script is not just about selling a story and getting it made into a film, it is about building a career. You cannot wait to sell your script from another State or country – you have to be in L.A. to take meetings. Also watch as many movies as you can and read as many screenplays as you can and write write write everyday. Can you tell us anything on your upcoming projects? I wrote the first scripts on “The Huntsman” and „Beauty and the Beast“ which will hopefully both be filming soon. “The Huntsman” is being directed by the brilliant Frank Darabont with Chris Hemsworth and Charlize Theron reprising their roles from “Snow White and the Huntsman.” And “Beauty” is being directed by Oscar winner and great guy Bill Condon. I think that whatever incarnation the final script takes, both films will be amazing. You’re in the a-list of movie screenwriters. Are you interested to tell any of your ideas in a serialized format: TV, Cable or Streaming? I prefer features and probably always will. But I am being approached often with TV shows so maybe. The really enticing part of TV is telling a long form story like a novel and flesh out characters in a way that you cannot in the 120 minutes of a feature film. Also, the number of episodes in any given show allow a writer to work with more actors and directors and a bigger variety of talent.